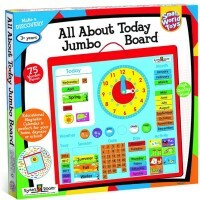 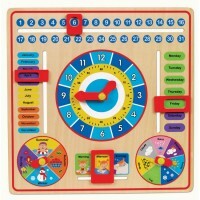 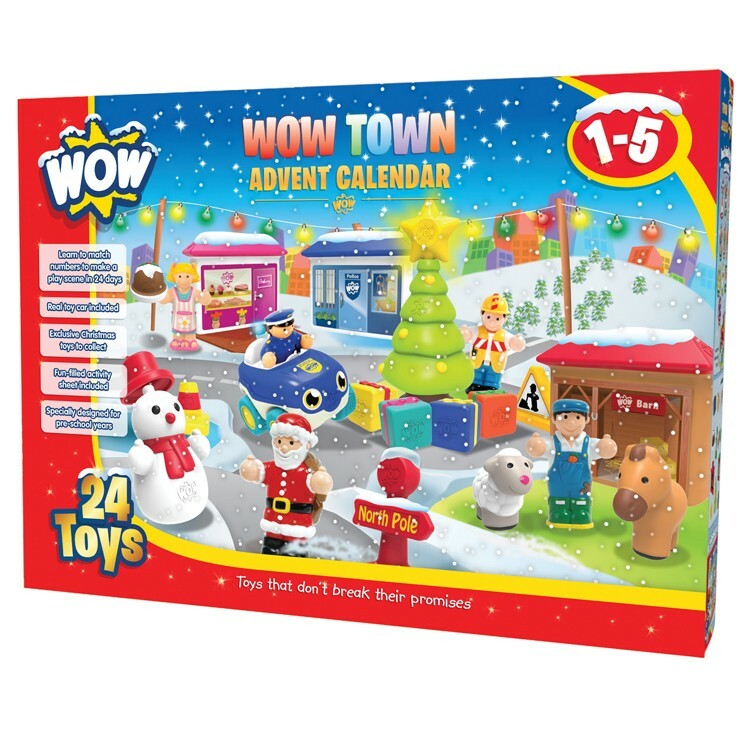 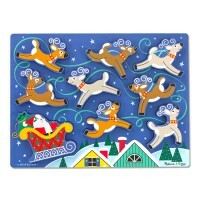 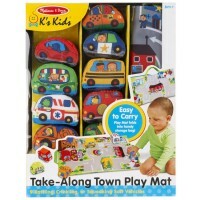 WOW Town Advent Calendar for kids 1-5 years features a whole set of Christmas theme toys. 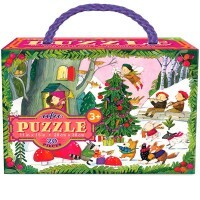 Tots favorite toy maker, WOW, presents the one and only holiday theme advent calendar for toddlers! 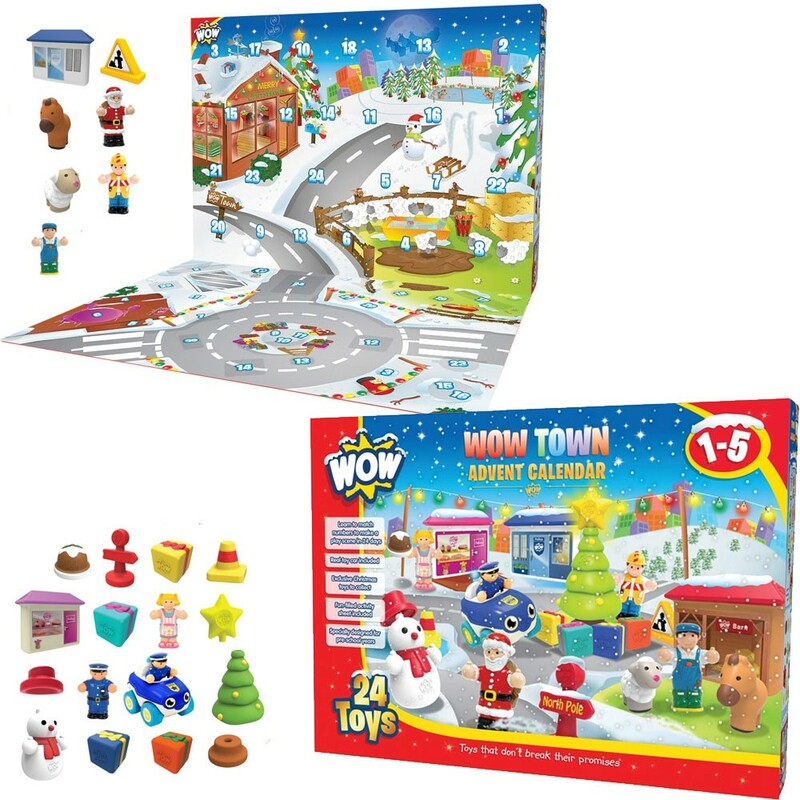 WOW Town Christmas Advent Calendar 24 pc Play Set is designed for kids 1-5 years and brings a whole set of holiday theme toys. 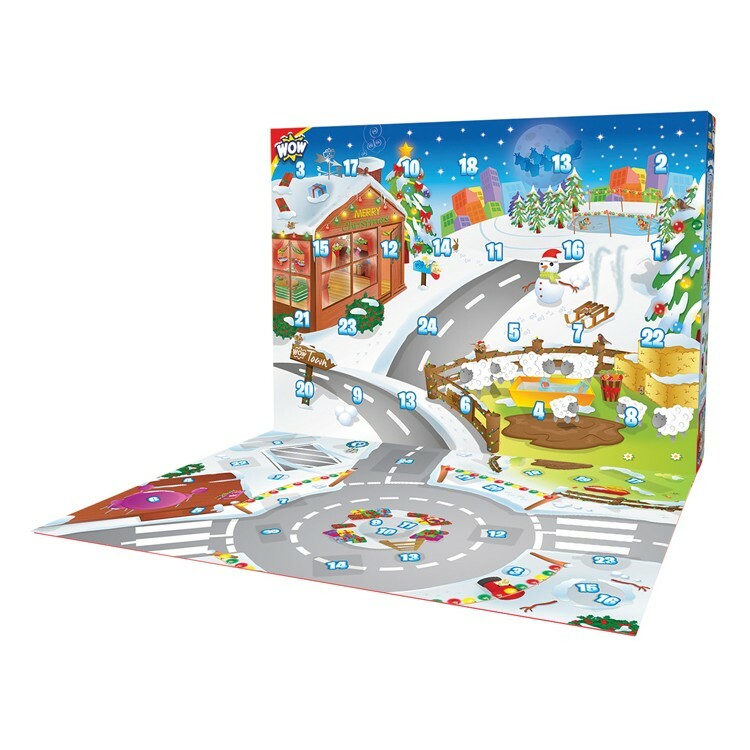 This preschool kids play calendar folds out into a Christmas decorated town scene. 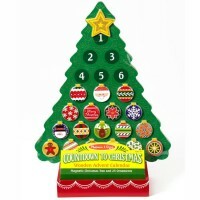 Children will enjoy finding around the town the numbers 1-24 to countdown days until Christmas. 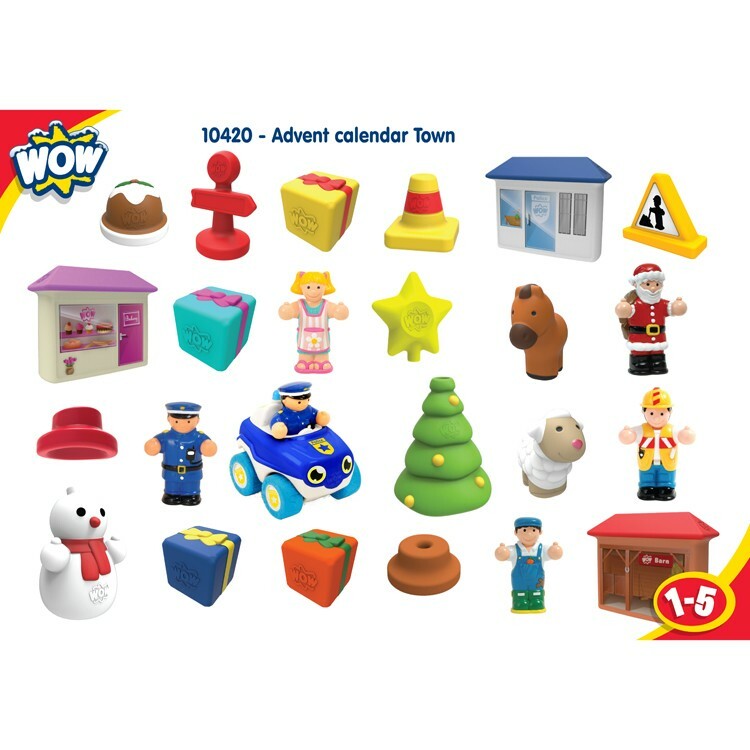 The WOW toddler advent calendar comes with 24 secret compartments that reveal Christmas gifts including 3 little town people figures, Santa character, a build-your-own snowman and Christmas tree, North Pole sign, bright color toy police car with removable police officer figure, and more! 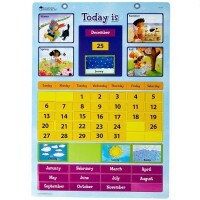 This amazingly designed for small hands and quality made for imaginative minds advent calendar from Educational Toys Planet has chunky pieces, clear images, and easily presented countdown idea. 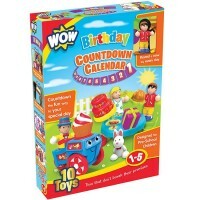 WOW Town Christmas Advent Calendar 24 pc Play Set will teach toddlers and preschoolers to count days until Christmas and add warm holiday spirit to your kids' play time. 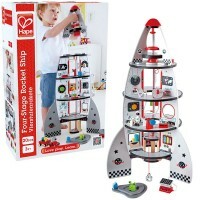 This kids advent calendar playset is an awesome Christmas gift for young children. Dimensions of package 14" x 18.9" x 3.2"
Write your own review of WOW Town Christmas Advent Calendar 24 pc Play Set.